A selection of the world's finest diamonds, hand selected and shaped to the most exacting standards for Tungsten Rings & Co. are set into our tungsten rings with diamonds collection. 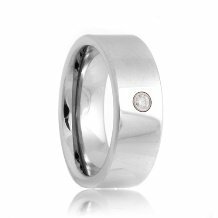 Our diamonds are cut with exact proportions for brilliance like none other and set into our tungsten diamond wedding bands, producing a strong and distinguished ring. 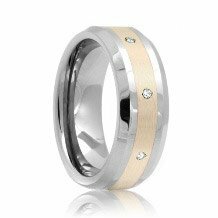 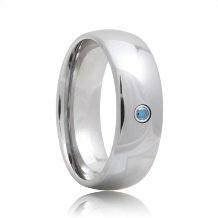 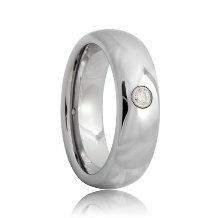 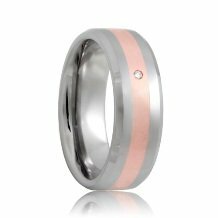 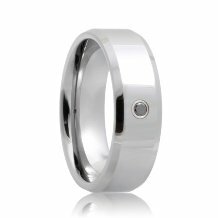 We offer single diamond stone settings to tungsten rings with inlay and diamonds up to 8 settings.